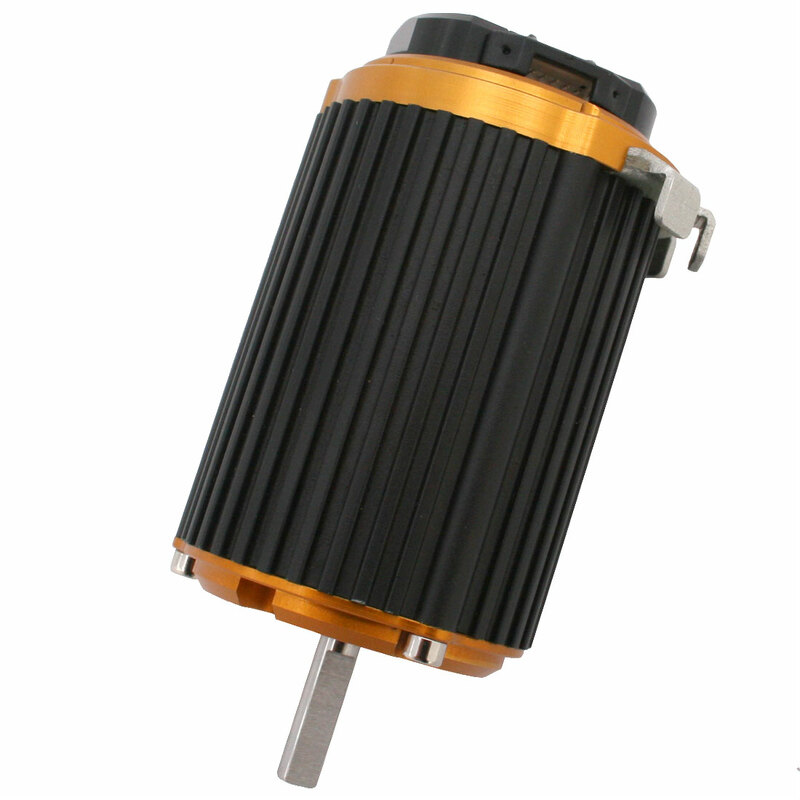 Get an exclusive look at one of Novak’s upcoming products, the Ballistic 8 and Ballistic 8L Sensored Brushless Motors. These two motors will soon be joining Novak’s Ballistic line! They are perfect for 1:8 scale electric vehicles. Two sizes will be available for racers looking for a large, sensored Novak motor to use in buggies, truggies and monster trucks. Novak is proud to offer an exclusive look at two exciting motors soon to join Novak’s popular line of Ballistic motors! The Ballistic 8 and Ballistic 8L Racing Sensored Brushless Motors are perfect for 1:8 scale buggies, truggies and monster trucks from well-known companies such as Associated©, Losi©, Traxxas©, OFNA©, and Hot Bodies©. Similar to Novak’s best-selling Ballistic 540 and Ballistic 550 brushless motors, the new Ballistic 8’s will feature high performance, unmatched reliability and a cost-saving, rebuildable design. Components such as the rotor, sensor harness, bearings, and timing assembly can be replaced. The wound stator can even be interchanged to experiment with a different Kv wind. Additionally, Novak is committed to assuring customer’s that the complete-line of Ballistic replacement parts are available. Novak is also developing a compatible speed control—the Kinetic 4S Racing Sensored Brushless ESC. More information will be announced for this exciting new ESC as it becomes available. looks nice but what Kv is it?